My fav sambar.. looks awesome!! 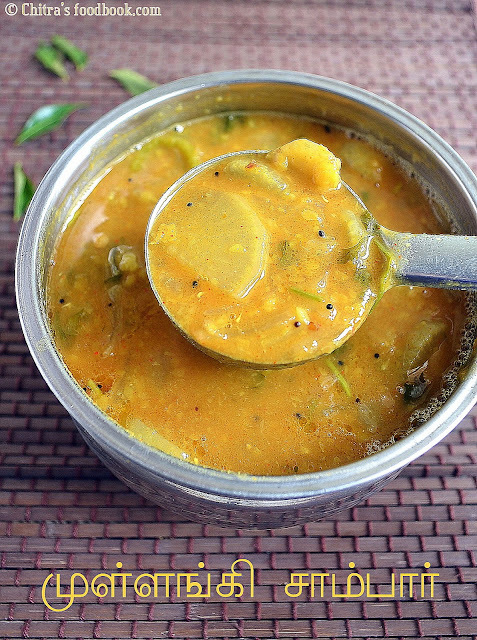 This is my favorite sambar.. Looks delicious and comforting..
who say no to sambhar? my all time favourite ! looks so awesome,i can finish the plate. Mullangi sambar with papads and pickles,i can die for. 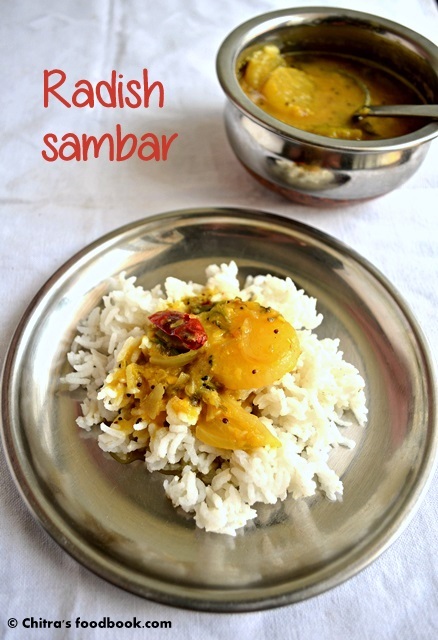 Love this sambar very much. 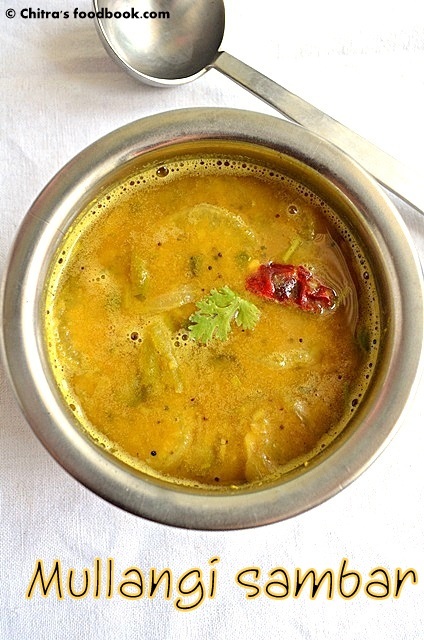 Mullangi sambar looks delicious chitra. Tried it came out very well. Thanks fourth post. Hi Chitra can I post your recipe on my blog? This recipe looks good. I prepare sambar this way, except I don't add jaggery, tomato and green chillies. So I will have to tell my readers the same thing. Anyway, thanks.